Samson has debuted a digital recorder with 16-track playback and 8-track simultaneous recording using Secure Digital (SD) memory. 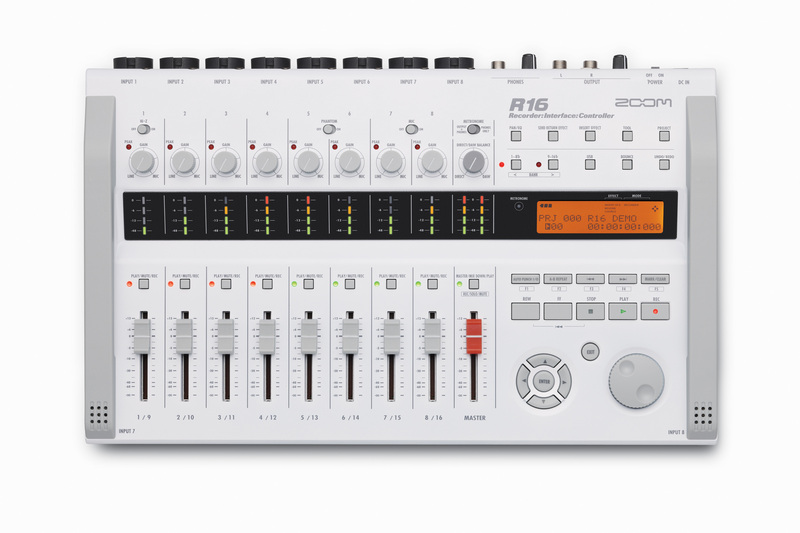 The Zoom R16 is described as "three production tools in one device": a multitrack recorder, an audio interface and a control surface, supposedly providing the tools necessary to create studio-quality recordings. Additionally, the R16 runs on six AA batteries. With the R16, users can record up to 32 GB on an SD card. The SD recording also makes the R16 significantly lighter, according to Samson. SD recording also avoids the pitfalls of a potential crashing hard drive and allows for up to 100 track hours of recording using all 16 tracks. You can connect the R16 to your laptop or desktop computer via USB, launch your favorite DAW or use the included Cubase LE, and start laying down your production tracks. In addition, USB operation means you can control each function of your DAW software from the R16 for mixing with fine-tuned control. For more info and full product specs, check out https://www.samsontech.com/products/productpage.cfm?prodID=2009. Blue Mikey Recorder Mikey is a new iPod recording device designed for recording lectures, voice notes, live music, interviews, field recording and more.